Calm down ! The lies you have heard for the past seven years are continuing. Everybody has been Duped ! The Deception of “Assange” & “Wikileaks” is entering a new stage. He is a pawn in the game, and so are you. The arrest is theater for the dumbed down and ignorant masses. 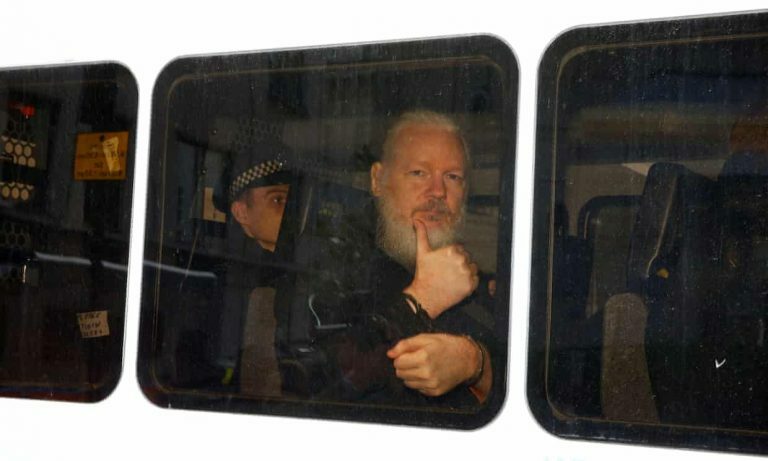 https://www.henrymakow.com/2019/04/Julian-Assange-Arrest-is-Theatre%20.html All of it has been a CIA controlled deception ( honeypot ) from the start. http://themillenniumreport.com/2019/04/every-points-to-julian-assanges-accuser-being-a-cia-directed-liar/ You are witnessing Cabal vs. Cabal for control of the NWO reigns at the expense of the Freedoms and Rights of the world citizenry. This is but one step in the multi-leveled attack on life as we known it. Spy vs. Spy is going to use him to dismantle the current deep State so the other arm of the Beast can complete the transition to the next level of Tyranny under the same guise of trust and truth, before finally taking total control of the world for a short time. There is a highly accurate book of History that spells all of this out in great detail and the stunningly accurate predictions are astounding, if you can discern the message, you should read it.